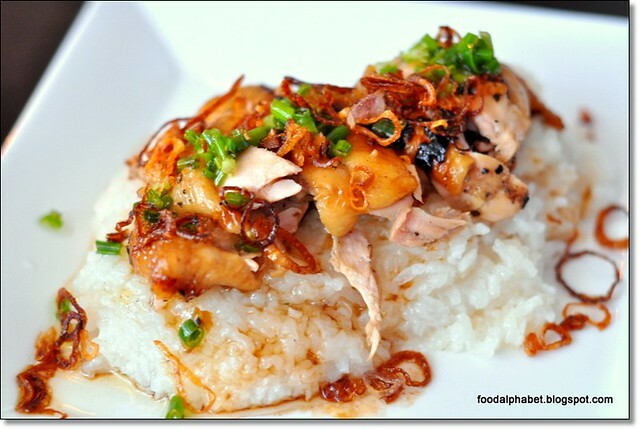 I love Vietnamese foods, they offer an alternative to our everyday fried foods and I'm glad Aquaknox came into play. As much as I want to go to Vietnam, work restraints me, so here I am enjoying the best of authentic Vietnam delights at the comfort of our home country. 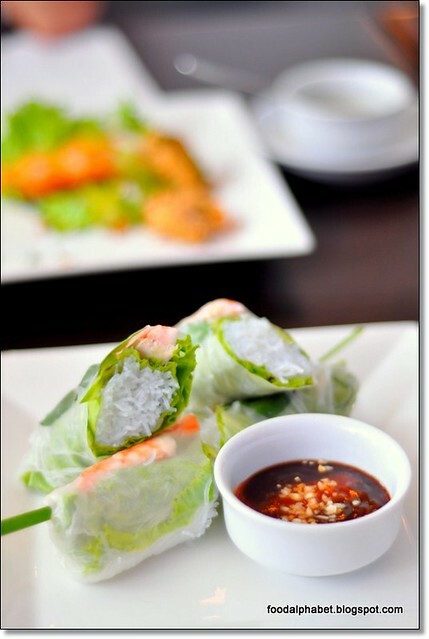 On top is Fresh spring rolls with shrimps, pork, lettuce and vermicelli noodles. This appetizer kinda reminds me of our own fresh lumpia, but a smaller version of course. All over the world there has been so many variations of these, such are the burritos of Mexico, shawarma of the Turkish, but I would say this is one of the healthiest there is. Isn't this salad appetizing? 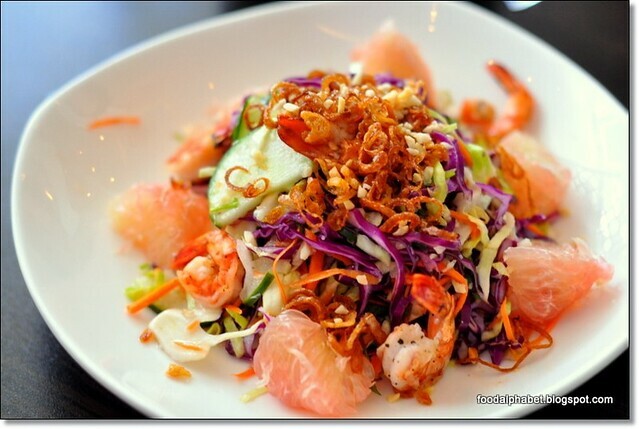 Pomelo Salad with cabbage, shrimps, carrots and scallions, make this another healthy addition to the very refreshing menu of Aquaknox, if you love your health, this is a must order. Uhmmm.... smells good, can you guess what this is? Chicken? Fish? No, they are prawns, yes minced prawns cooked with sugarcane as sticks to bring out the sweetness of sugarcane and mix with the delicious scent of fresh prawns. A must try! 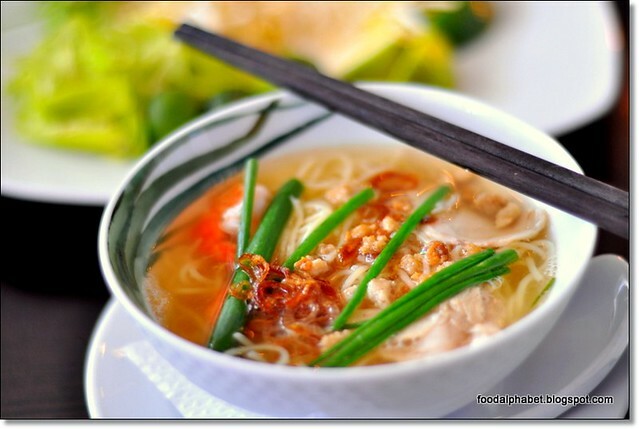 Saigon style rice noodles with chicken, the only way to eat this is have it while its hot. Don't wait for it to chill down as the flavors of Pho Ga are richest when it's hot. 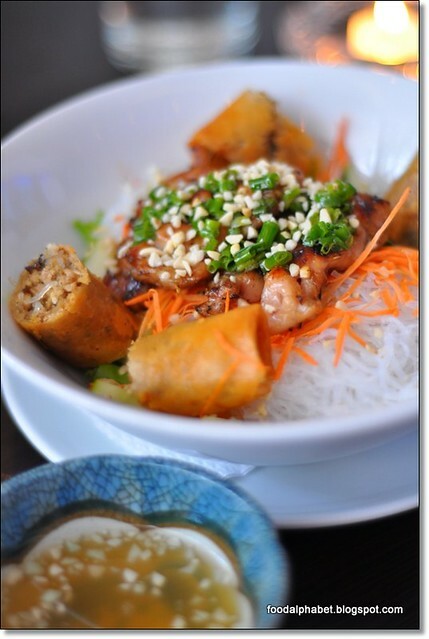 A traditional Vietnamese treat served in a bowl of lettuce, garnished with carrots and other veggies, and cold vermicelli noddles, and of course toppings may it be chicken or pork, well in this case lemongrass pork with "Nuock Mam" or fish sauce. 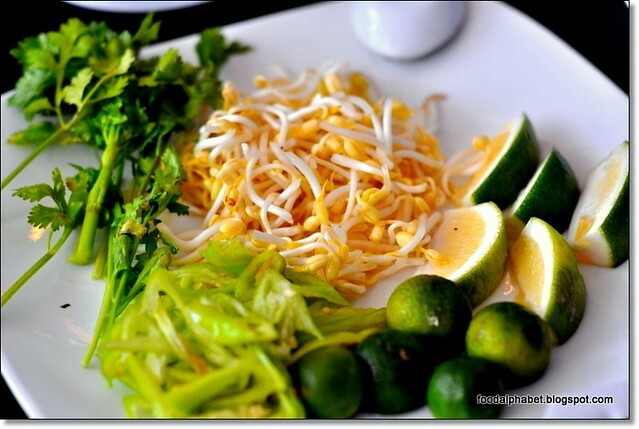 I just love the spring rolls, and I don't really like cold noodles, which I also hated when I also went to Korea. 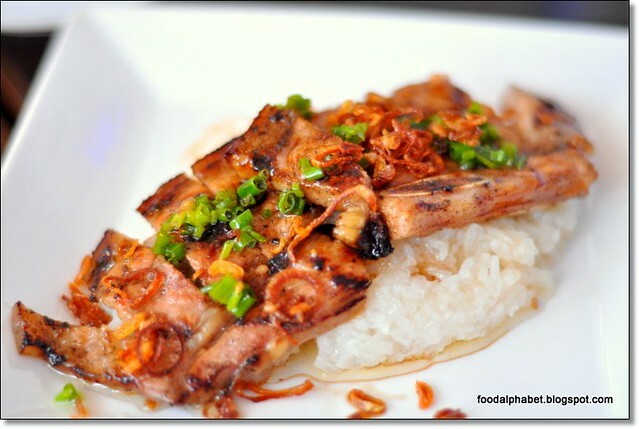 Grilled liempo (pork belly) on sticky rice, I know it is said that the great taste in pork comes from the fat and not the lean, somehow I believe that it is so. The fatter the better, haha but I wouldn't recommend that you throw away your health right? Just take it in moderation. You'll feel happier, and of course healthier. I like this better with chicken as toppings. Well, you know I am a chicken person. Everything tastes like chicken would you agree? 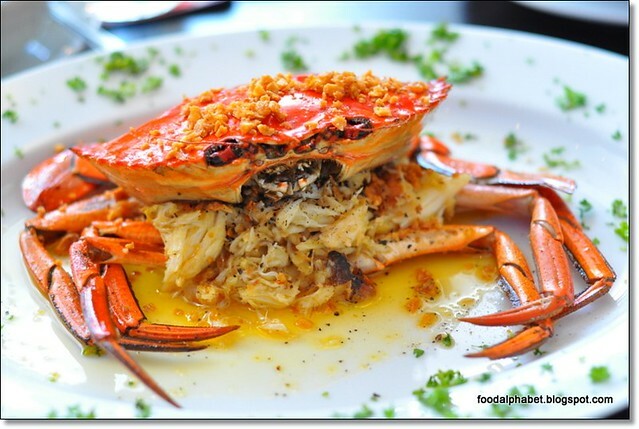 I am not a fan of crabs, since I really hate cracking the shell..lazy me, but with the shells cracked sure I would have my share, and oh I fell in love with the garlicky smell and taste. 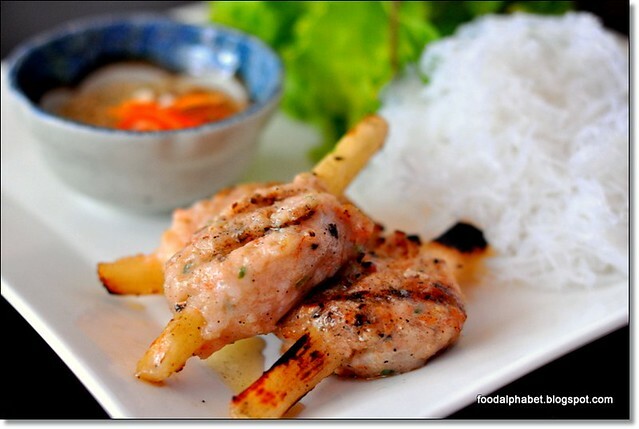 Very soft meat, steamed then fried to a perfect dish, you're missing a whole lot if you don't order this. 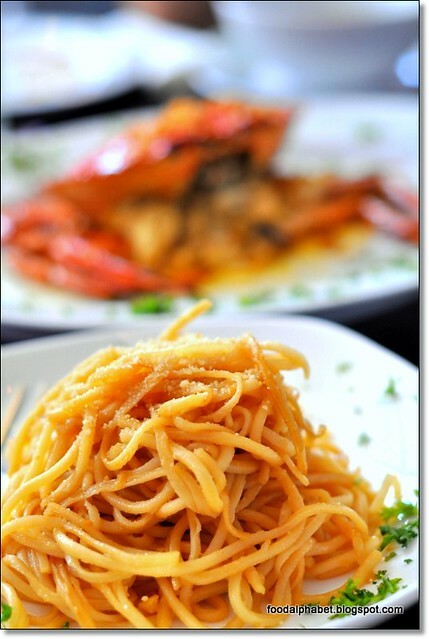 it also comes with garlic noodles to complement the garlic crabs, and yet they are a perfect match, great combination Aquaknox. looks like an omelet, but is actually like crepe, filled with shrimps, chicken, beansprouts, onions and shitake mushrooms, no wonder it smells so great. 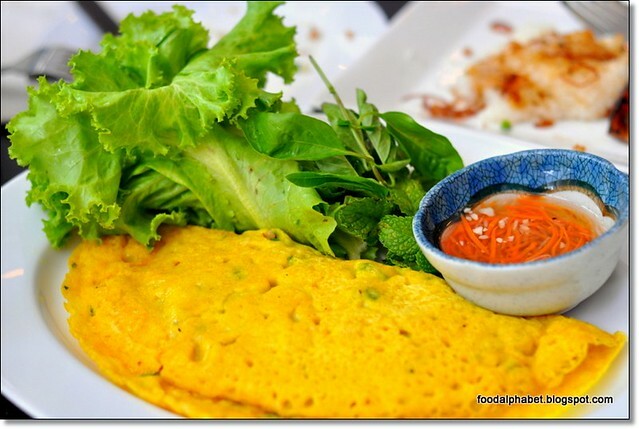 Vietnamese really know how to make good food. So comes the end to this great Vietnamese food adventure, be sure to go early as the place can sure fill up fast, but you can always unwind in their bar-like. setting at night as they also serve cocktails, and have great music. 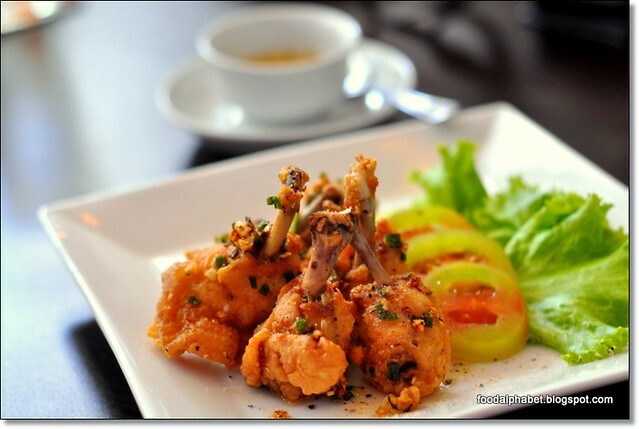 Aquaknox Restaurant is always a good choice for great tasting Vietnamese dishes. Try it out this weekend. Can't even decide which pictures looks the most delicious. Just looking through all of them made my stomach rumble. Definitely making a mental note of this place. Thank for the compliments Mary... appreciate it. Thanks for the kind words Ms. Sumi... appreciate it. Hope you do try them out. =) you'll love it.